James Whitaker (cricket) - former Leicestershire captain and England national selector, born 1962. Duke McKenzie (boxing) - first British boxer to win a world title at three different weights, born 1963. James Cracknell (rowing) - double Olympic gold medallist in the coxless four, born 1972. Yossi Benayoun (soccer) - Maccabi Petah Tikva's Israel international midfielder, formerly of Liverpool, Chelsea, West Ham and QPR, born 1980. Jay Bothroyd (soccer) - former Cardiff, QPR and England striker, currently with Hokkaido Consadole Sapporo in Japan, born 1982. Emanuele Giaccherini (soccer) - Napoli's Italy midfielder, formerly with Sunderland and currently on loan with Chievo, born 1985. Graham Dorrans (soccer) - Rangers and Scotland midfielder, born 1987. 1928: Everton forward Dixie Dean broke the record for the most goals in a season, beating George Camsell's mark of 59. He needed three to better Camsell's mark and did so by scoring a hat-trick in his club's 3-3 draw with Arsenal at Goodison Park on the last day of the season. 1954: Warrington and Halifax played in front of rugby league's biggest-ever domestic crowd when 102,569 attended their Challenge Cup final replay at Odsal. 1973: Sunderland beat Leeds to win the FA Cup against all odds. Ian Porterfield scored the only goal of the game, with goalkeeper Jimmy Montgomery producing an amazing second-half save. 1996: Donegal won the All-Ireland Vocational Schools final with a win over Kerry at Croke Park. Barry Monaghan and Michael Hegarty were amongst the players that helped them to a 2-13 to 3-9 win. 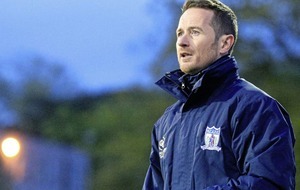 John McAloone and Peter McHugh scored their goals. 2007: Cork claimed the All-Ireland U21 Football title with a 2-10 to 0-15 win over Laois. 2009: Manchester United defeated Arsenal 3-1 for a 4-1 aggregate win to earn Sir Alex Ferguson's side a place in the Champions League final, where they would suffer a 2-0 loss at the hands of Barcelona. 2010: Tottenham secured Champions League qualification with a 1-0 Premier League victory at Manchester City, who were also vying for the European place. 2011: Alastair Cook was named as England's new one-day international captain by the England and Wales Cricket Board, with Stuart Broad to take charge of the Twenty20 side. 2012: Chelsea won their fourth FA Cup in six seasons as goals from Ramires and Didier Drogba gave the Blues a 2-1 win over Liverpool at Wembley. 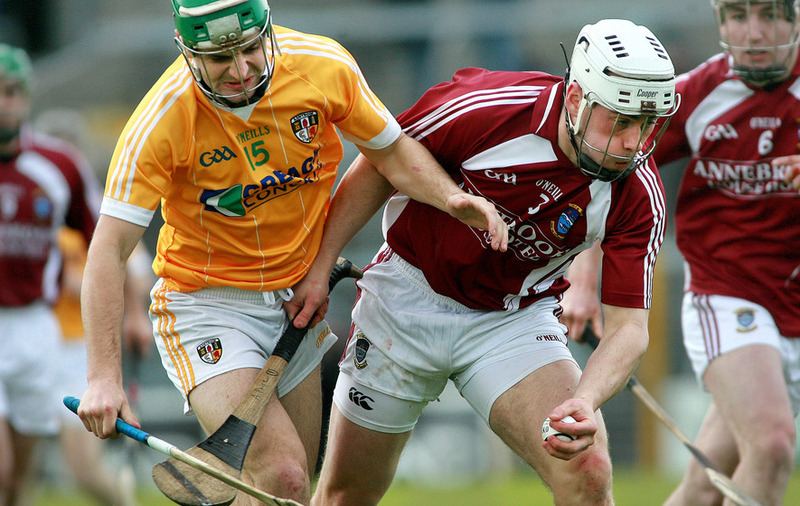 2013: Antrim recorded a convincing 3-18 to 2-13 win over Westmeath in the Leinster Championship, Neil McManus (2) and Conor Carson with their goals. 2014: Mark Selby completed a come-from-behind victory to beat Ronnie O'Sullivan 18-14 in the World Snooker Championship final, the first time five-time champion O'Sullivan had lost in the final at the Crucible. 2016: Liverpool reached the final of the Europa League with a 3-0 win against Villarreal at Anfield - 3-1 on aggregate. They were beaten 3-1 by Sevilla in the Basel showpiece. 1. Robbie Keane began his career at which club? 2. Who is the manager of the New York footballers? 3. Which of the four tennis grand slams did Pete Sampras never win? 4. England World Cup-winning fly-half Jonny Wilkinson retired from rugby union in which year? 5. Who is the captain of the Cavan ladies? SOCCER: Premier League, Stoke v Crystal Palace - Sky Sports Main Event & Sky Sports Premier League 1130, Everton v Southampton - BT Sport 1 1700; League One, Rochdale v Charlton - Sky Sports Main Event 1730; Serie A, AC Milan v Verona - eir Sport 1 1655; Juventus v Bologna - BT Sport 2 1930; National League, play-off, Tranmere v Ebbsfleet - BT Sport 1 1200; Women's FA Cup final, Arsenal v Chelsea - BBC One 1710; MLS, New York Red Bulls v New York City FC, Los Angeles FC v FC Dallas - Sky Sports Main Event 2000 & 2055. CRICKET: Indian Premier League, Chennai Super Kings v Royal Challengers Bangalore, Sunrisers Hyderabad v Delhi Daredevils - Sky Sports Cricket 1100 & 1500. RUGBY UNION: Super Rugby, Waratahs v Blues, Hurricanes v Lions - Sky Sports Main Event & Sky Sports Action 0600 & Sky Sports Action 0830; PRO14, Munster v Edinburgh - Sky Sports Main Event & Sky Sports Action 1515; Aviva Premiership, TBC - BT Sport 2 1515; Top 14, La Rochelle v Stade Francais - Sky Sports Action 1950; Castres v Oyonnax - Sky Sports Arena 1950. GOLF: PGA, Wells Fargo Championship - Sky Sports Golf 1800; GolfSixes - Sky Sports Golf 1200. SNOOKER: World Championship - BBC Two 1000, 1610 & 1930/BBC One 1315/Eurosport 1 1000, 1430 & 1900. TENNIS: WTA, Prague Open - BT Sport/ESPN 1000; Morocco Open - BT Sport/ESPN 1500. HORSE RACING: Newmarket - ITV & STV 1330. CYCLING: Tour de Yorkshire - ITV4 1300/Eurosport 2 1615; Giro d'Italia - Eurosport 2 1130. MOTOGP: Spain Grand Prix - BT Sport 2 0745. BASKETBALL: NBA, play-offs TBC - BT Sport 1 2200 & 0130 (Sun). 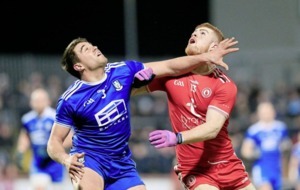 GAELIC GAMES: Ladies NFL, Cavan v Tipperary & Dublin v Mayo – TG4, 1335. SOCCER: Premier League, Manchester City v Huddersfield - Sky Sports Premier League 1300/Sky Sports Main Event 1430, Chelsea v Liverpool - Sky Sports Main Event & Sky Sports Premier League 1530; Championship, TBC - Sky Sports Main Event 1200; Scottish Premiership, Hearts v Celtic - BT Sport 1 1145; National League, play-off TBC - BT Sport 1 1430; Serie A, Lazio v Atalanta - eir Sport 1 1355/BT Sport & ESPN 1400, Cagliari v Roma - eir Sport 1 1940; Ligue 1, TBC - eir Sport 1/BT Sport 2 1600; LaLiga, TBC - Sky Sports Main Event 1930. CRICKET: Indian Premier League, Mumbai Indians v Kolkata Knight Riders, Kings XI Punjab v Rajasthan Royals - Sky Sports Cricket 1100 & 1500. RUGBY UNION: Top 14 - Sky Sports Action 1125 & 1545. GOLF: PGA, Wells Fargo Championship - Sky Sports Golf 1800; GolfSixes - Sky Sports Golf 1130. SNOOKER: World Championship - BBC Two 1400 & 1900/Eurosport 1 1345 & 1845. TENNIS: WTA, Madrid Open - BT Sport 1 1000 & 1715. HORSE RACING: Newmarket - ITV 1330. CYCLING: Tour de Yorkshire - ITV4 1200; Giro d'Italia - Eurosport 2 1015. MOTOGP: Spain Grand Prix - BT Sport 2 0730. BASKETBALL: NBA, play-offs TBC - BT Sport 1 2030. BASEBALL: MLB, San Diego Padres v Los Angeles Dodgers - BT Sport 2 2100, St Louis Cardinals v Chicago Cubs - BT Sport/ESPN 0100 (Mon). Quick quiz answers: 1 Wolves; 2 Justin O’Halloran; 3 French Open; 4 2014; 5 Sinead Greene.